The MINI JCW Team is already hard at work in Sebring. Today they completed three practice sessions and qualifying for the Alan Jay Automotive Network 120. The MINI JCW Team was fastest in both the first and second practice. The 73 of Mat Pombo and Mike LaMarra had the fastest lap in the first session (2:22.929), and the 52 of Mark Pombo and Jay Salinsky led the second session (2:23.415). The third practice session wasn’t completed due to a red flag. After a great showing in practice the team followed it up with an excellent qualifying performance. Nate Norenberg captured his first pole for the MINI JCW Team driving the number 37. He recorded a lap time of 2:23.941, almost a full second faster than second place qualifier Mike LaMarra in the 73 MINI. Rounding out qualifying for the MINI JCW Team was Jay Salinsky in fourth place with the 52. 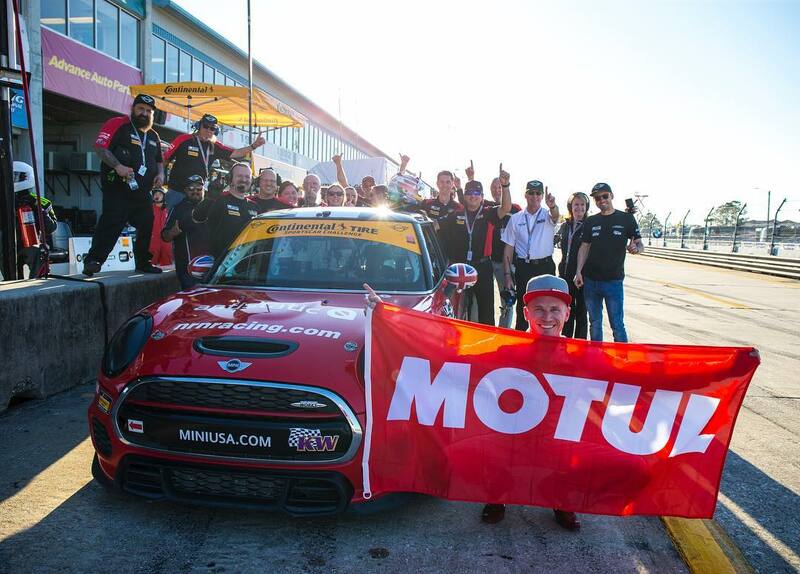 With good speed and plenty of Sebring experience look for the MINI JCW Team to contend for victory. The Alan Jay Automotive Network 120 takes place tomorrow (2/16) at 2:45 PM. You can watch the race live on IMSA.tv, the IMSA Roku app, or on the IMSA mobile app. You can keep track of timing and scoring at scoring.imsa.com.